British composers developed something of a reputation for writing for wind band/military band during the 20th century. There are significant works by such composers as RVW and Holst, which have become staples of the repertoire. 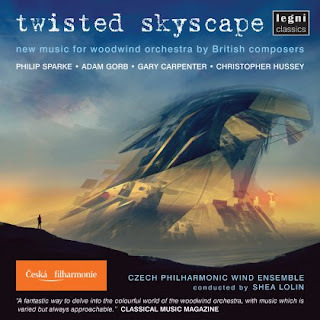 This new disc on Legni Classics, Twisted Skyscape, on which Shea Lolin conducts the Czech Philharmonic Wind Ensemble, showcases music by British composers of a newer generation with Philip Sparke's Overture for Woodwinds, Gary Carpenter's Pantomime, Christopher Hussey's Dreamtide and Twisted Skyscape and Adam Gorb's Battle Symphony. All but the Philip Sparke being world premiere recordings. In fact, as the eagle eyed will realise the works on this disc are strictly for woodwind orchestra, a genre which in fact has very little written for it. The ensemble used for the disc includes flutes, oboes, clarinets, bass clarinet and contrabass clarinet, bassoons, contrabassoon and alto, tenor and baritone saxophones. No brass, and no horns. In fact Shea Lolin's reason for putting the recording together was to both showcase the talents of British composers and to showcase the woodwind orchestra. What struck me on listening to the disc, was first the very distinctive sound of the ensemble. In an orchestra or a wind band/military band, the lower woodwind instruments notably the bass clarinets and the baritone saxophone do not contribute significantly to the overall timbre, as this is taken by the strings or by the brass. Here, though, we have a wonderful depth to the sound with some lovely lower timbres. The second thing was that all the music on this disc was tonal, admittedly in a huge variety of styles with some pushing tonality to the limit. All the music is clearly going to be appealing to both the amateur and professional wind ensemble. The ensemble has a great presence on the recording, with a very immediate sound making all the music highly appealing. 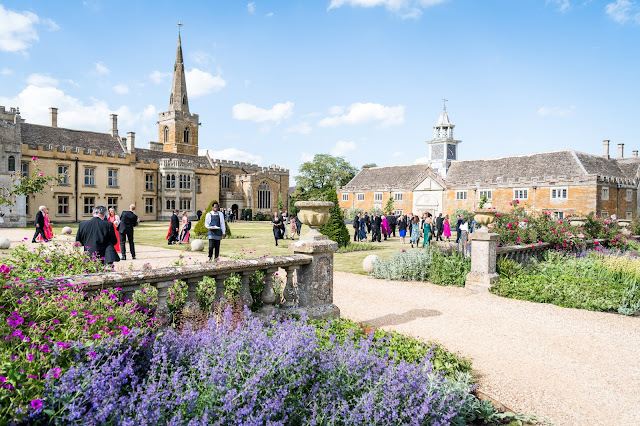 Philip Sparke (born 1951) wrote Overture for Wooodwinds for the Berkshire Young Musicians Trust in 1999. It is bright and brilliant opener, starting with a very striking unison them and leading into some rather Walton like lively textures. Gary Carpenter (born 1951) wrote Pantomime as a present for the Haffner Ensemble who premiered it in 1995. Much of the musical material comes from a musical version of Aladdin and the composer deliberately invokes music halls, vaudeville and burlesque. 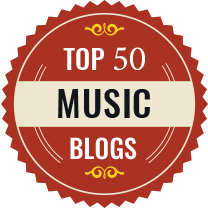 It is full of references to popular music. Prologue is really perky and puts a smile on the face, whilst Cavatina and Polka is lyrically beautiful. Dream Calypso and Farewell is rather big band in style but complex and varied. Grand March (of the Chief Executive) is a melange of popular styles, again a smile on the face particularly at the sly references to classical themes. Finally the Waltz - Finale (Depravity) a witty big band-style waltz. Christopher Hussey (born 1974) originally wrote Dreamtide for mixed choir, inspired by poems by Blake, Byron, Poe and Amy Levy. This arrangement, written in 2012, was commissioned by Shea Lolin and the Bloomsbury Music Group and was premiered by the Bloomsbury Woodwind Ensemble. The work is in three movements, Twilight's Haze, Wild Reality, A Dream within a Dream which play continuously. 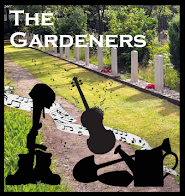 The first is an evocative prelude with just wisps and fragments of melodic material which develops into the second movement which starts quietly intense but develops into a more complex texture. Finally the last movement is quiet and thoughtful, still intense. The sound world is still tonal, but a world away from Carpenter's big band perhaps partly because the work started as a choral piece and has been re-imagined for woodwind ensemble. Adam Gorb (born 1958) wrote Battle Symphony in 1997 for the Berkshire Education Authority and it was premiered by Berkshire Youth Wind Ensemble, conducted by Robert Roscoe. Originally called La Batallis is is modelled on the descriptive battle symphonies beloved of the 17th and 18th centuries. The work is 17th century pastiche, but this does not prevent Gorb from bringing in wit, character and personality along with some distinctly 20th century harmonies. It very much comes over as a suite of 17th century style dances, and each movement is a sequence which describes the action including the battle itself in the middle movement. Finally the disc's title work, Christopher Hussey's Twisted Skyscape which was written for Shea Lolin's Bloomsbury Woodwind Ensemble, conducted by Shea Lolin, as part of the Adopt-A-Composer scheme organised and funded by the PRSF, spnm and Making Music. It was premiered in 2008, and performed synchronised with the film Flux made by Matthew Kemp. The opening movement, A Natural World is dark and interesting, with a sense that the music is strongly structured and very powerful. The second movement, The Human Footprint, is based around repeated notes which are built into intense and dramatic structures, and finally the darkly dramatic yet lyric final movement, Nature's Conquest. This disc showcases not just the talents of British composers in the field of woodwind music, but the fine playing from the 18 players in the Czech Philharmonic Wind Ensemble under Shea Lolin's capable direction. An appealing and highly satisfying disc.